Social media has indeed changed all our lives for the better. Let’s just ignore the fact that people don’t have time to appreciate and adore the beauty of nature these days because of social media. Well, not unless you can consider that as a plus for businesses. It has been found that almost 81% of the US population owns at least one social media profile and more than half of them have two or more. From a business perspective, this means that you can pretty much invest in any of the top social media channels and you’ll have a high chance of reaching a majority of your target audience, that you may not have been able to otherwise. And the best part is that a lot of social media users often make important purchase decisions with the help of their favorite channels. About 71% of consumers are more likely to purchase a product or a service based on social media referrals. Furthermore, 31% of consumers have revealed that use social media channels to look for new products to purchase. Clearly, there is a lot of sales to be made and money to be earned on social media. The only thing you should probably pay attention to is the kind of platform that you’re planning to use. You obviously don’t want to be wasting time on where the engagement levels are low or one where the user base is not your target audience. You also need to pay attention to the user-friendliness of the platform you’re choosing. For example, a lot of users have confessed to the fact that they don’t know how to use Snapchat even if they like using the camera filters on there. This is in case of an older category of Millenials though; the many youngsters have also expressed that they love Snapchat more than any other channel. Hence, you need to do your homework before deciding on the channels to invest in based on general engagement levels and of course your target audience. To help you get started, here are the top 10 best platforms for social media marketing in 2018, and also some tips on how to use each one. Yes, Instagram is first on the list, not Facebook anymore. There are currently more than 25 million business profiles on Instagram now and the number is growing. Of late there has been an 80% increase in the time spent watching videos on Instagram. This shows that people have switched from watching video content on other platforms like YouTube to Instagram. Many YouTubers have also been moving a larger chunk of their weekly content uploads to Instagram. Furthermore, about 60% of users have said that they do discover new products on Instagram. Hence it makes sense for businesses to make the most of out of this channel. How to use Instagram: All you need to do is set up a business profile and start earning organic followers by regularly uploading interesting and relevant content. Stories are also a great way to interact with customers on a daily basis. You can make use of the polls and other feedback features available for stories. Other than that there are loads of features for even the CEO of the company to engage with customers. And we’re not joking. Customers like absolute transparency and if you can get your CEO to talk to your customers through the Live option or through comments, that would be one of the best ways to direct customers back to your website. A close second on the list is, of course, Facebook; owned by the same person as Instagram as we all know. Facebook still stands as the most popular social media website with over 2 billion active users in a month. However, the difference lies in terms of B2C engagement, which is interestingly more on Instagram according to recent usage trends. C2C engagement, on the other hand, is widely preferred on Facebook. People make full use of the reviews and testimonials left by customers on the relevant business pages. How to use Facebook: You can create product and company pages on Facebook with options for customers to contact you. Additionally, you can have a plug-in for reviews where customers can leave their feedback. The Live feature is also a great option for engagement. Snapchat is another very popular social media platform just like Tumblr is, that has more than 300 million active users in a month. And most of these followers are below the age of around 30 or 34. 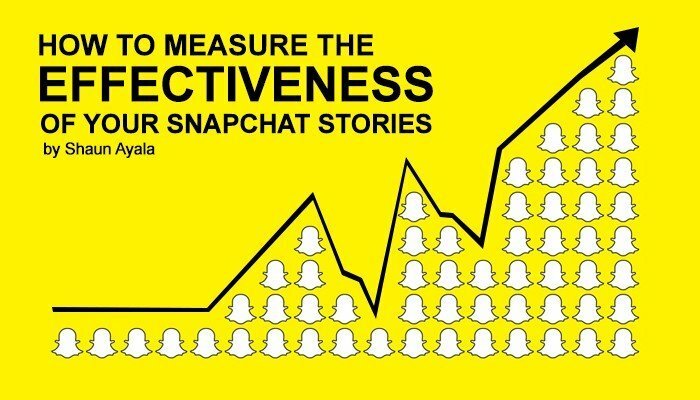 Initially, a lot of users had a common complaint that Snapchat wasn’t user-friendly and they didn’t know how to use Snapchat. But later on, people probably got around to it. As mentioned before, if you’re targeting an older market, then you may want to focus on Facebook or Instagram. How to use Snapchat: Being just a mobile application, you may be wondering how to use Snapchat for business. And the answer to that question is videos. Create engaging short videos and of course images to be shared among followers. And lead them to your website. Additionally, there are also Snapchat ads that you can make use of. Twitter is probably the best place for you to put out short updates and super interesting insights to generate engagement. The more the engagement, the more reach you will get, as then your content will be featured on the trending topics, which is a unique feature of Twitter that you can make use of. It is also a place of fast growth in terms of followers. How to use Twitter: The best way to use Twitter is for posting very short updates with relevant hashtags. As we all know, hashtags help gain a wider reach for the post. Additionally, it has been found that link clicks make up 92% of all interactions with tweets. Hence, Twitter can be a great channel to increase traffic to your website. YouTube is the second largest search engine only after Google itself. Being owned by Google, YouTube is a place where you can probably get an advantage in terms of search engine optimization, as YouTube videos are more likely to appear on Google’s search results. It is a good place to upload longer videos than Snapchat or Instagram. How to use YouTube: Use YouTube to upload longer instructional or how-to videos. For example, if you are in the marketing niche, you could upload detailed videos and video series on how to use Snapchat for business or how to grow followers on Instagram, and put short updates about the video on Instagram and Twitter. Pinterest has more than a 250 million active users and it is well on its way to becoming the most popular social media channel, outperforming even Facebook in the future. Pinterest is also a visual sharing platform, but the difference between Pinterest and Snapchat is the fact that you can also share informative and fairly long info-graphics through Pinterest. Needless to say, such graphic shareable grab more attention and engagement than any other type of content. How to use Pinterest: Create interesting and informative graphics pins just like blogs and post them with a link to the actual content on your website. Create relevant boards and increase followers organically with regular content. You can also interact with other influencers by saving their pins. Additionally, you can also join group boards and post your content in there for a much wider reach. Yelp is like the king of customer reviews. It is one of the best place for your customers to leave feedback about you and also interact and share experiences with other customers of yours. This will help spread the popular word of mouth and in turn, help you gain a popular reputation the old school way. It is not exactly structured like the other social media channels, but it does have more than 140 million active users and it is a widely trusted place for genuine reviews by customers. Having a good number of positive reviews on Yelp about your company may, in fact, reflect quickly increased customers and sales. How to use Yelp: Be vested in providing stellar customer service and high-quality products for your customers. That’s the first step. Once you are sure that your customer is happy with the product and the service, ask them politely to leave a positive comment about your company on Yelp. LinkedIn is more of a formal social media channel for your business. You can consider this as a place to reach out to higher business officials or partner with other brands relevant to your business. You can also use it to look for impressive human resources for your business. LinkedIn does have quite a considerable level of engagement, which you can also make use of. How to use LinkedIn: LinkedIn is like the formal profile of your company. Hence, craft an interesting and impressive portfolio of your company and connect with other business professionals including those in the top management levels, to broaden your network and gain a popular reputation in the business world. You can also discuss business topics in LinkedIn groups and connect with other brands for possible collaborations. Additionally, publish job openings to hire talented resources as well. Google Plus is yet another social media platform owned by Google, just like Google My Business and Google Reviews. Although it doesn’t seem to be as popular as the other platforms on this list, it has around 395 million active users. It may not seem to be that brilliant an idea spending time sharing content on Google Plus when you already don’t have time to share on other platforms that will give you a wider reach. But you need to do it, and here’s why. Unlike any other platform on this list, Google Plus can play a significant role in boosting your SEO rankings organically! Besides, 395 million is not that a small a number either. Especially if your target audience belongs to the few who do not know how to use Snapchat then Google Plus is definitely a feasible option. We have put together this list of SEO Best practices every entrepreneur should know. Check it out. It’s amazeballs. How to use Google Plus: You can always share high-quality content with your required keywords on Google Plus. You can link those to your website to increase traffic. What you should pay attention to while using Google Plus is that you need to share high-quality content with subtle and intelligently used keywords. This can help Google know more about your business and attain a genuine idea of what you do, which in turn will help you rank higher for Google. Quora is a more intelligent question and answer platform where people can ask questions and authoritative answers can be given. Some of the most popular influencers from various fields like Neil Patel (1) are active users on Quora. By posting regular, accurate and prompt answers to questions on Quora with of course links to your website, you will be able to generate a larger inflow of traffic than you think. One of the main reasons why this is bound to happen is that people who post questions on Quora are genuine information seekers. Hence, when you post a link to one of the questions, you are not approaching them coldly and solely from a marketing perspective. They have a need and you’re addressing the need; that’s the marketing model that sells in Quora. Hence, all you need to do is promptly answer questions. How to use Quora: You need to create an impressive profile all the great qualities of your business listed well. This is very important as people who read your answers will definitely want to check your credibility. Hence, when they browse your profile, you may want to appear as reliable and authoritative. Once you have been established as a reliable information giver, then your audience will automatically turn to you and your website for all their needs. Make use of these top 10 incredible social media platforms for your business intelligently, and in no time, you will start seeing positive results.